If you love slow and cheap hosting, then FatCow is the host for you. We’ve been testing out FatCow’s hosting for the past 12 months. Although it’s one of the cheapest hosts on the market, it also has some of the worst uptime rates and page load speeds. Read more about Fat Cow below and see if this is really the host for you. The most important things when it comes to getting your own blog or website up and running are a domain name and a good hosting plan. However, finding a good hosting plan isn’t that easy. Choosing a hosting provider just because it offers some free domain names and Adwords credit, or some other free stuff is definitely the wrong criteria. There are plenty of important parameters to look out for, such as reliability, uptime, speed and performance, the control panel’s interface, tech support, email services, and the price. The reliability can be determined by how long the hosting company has been in business. For example, it is very easy to trust and rely on a web hosting provider like FatCow that has been offering hosting plans since 1998 for individuals as well as businesses. However, that isn’t the only variable you need to consider before you decide though, so here is a review of FatCow to see if you should sign-up for it or not. It has established itself as a so called leader of web hosting providers for small businesses. FatCow is listed under its parent company’s name, The Endurance International Group Inc. (EIG). Ever since its founding in 1998, the company has aimed to deliver the best value and customer service experience for individuals, and SMEs. If you check their features and plans which we have discussed below, they have kept them as simple and easy-to-use as possible. FatCow offers shared web hosting solutions with a one-plan one-price philosophy. Let’s check out some of the key features that have made FatCow a reliable and quality web hosting solution provider over the years. FatCow’s data centre is under constant surveillance with security personnel on-site, 24 hours a day, 7 days a week. Virtual security for the servers is handled by two firewalls. To help conduct safe payment transactions and maintain the confidentiality of data on their hosted sites, FatCow offers SSL certificates (secure encryption) to all their customers. There are two types of SSL certificates available – Positive SSL (low cost security available at a price as low as $31.99 per year) and Extended Validation SSL (maximum security, starting at $269.99 per year). For small businesses and growing websites, the Positive SSL certificate plan will suffice while larger businesses would do well with the extra security offered by the Extended Validation one. You can even purchase a SiteLock security plan from the FatCow website for as low as $1.94 per month. SiteLock helps detect any security breaches on your hosted website. It scans your website for any potential malware or harmful code in order to stop any hacking attempt pre-emptively. It also helps remove malware automatically using the Secure Malware Alert and Removal Tool (SMART). Timely removal of malware or harmful code will help you protect your website and keep it from being blacklisted due to any unusual behaviour. If you check the official FatCow website, you will immediately notice a big difference between it and the websites of other, popular web-hosting services. The key difference is that FatCow doesn’t claim or mention any uptime guarantee in its list of features. Over a period of one month, uptime was at a disappointing 98.90% . It is obvious that you may expect downtime occasionally, but the server availability is a lot lower than other web hosting providers out there. On a plus note, FatCow’s support team is highly capable when it comes to getting the servers back up, when something happens. With as many as 800 servers (clustered architecture) in its data centre located in Boston, USA, FatCow should be able to offers great server performance and with minimum downtime, but not with us unfortunately. Having so many servers means when one server faces any downtime or similar issues, another fast server takes its place. Our FatCow hosted website load time was poor. Average load times came in at 1224ms which overall is not what I would expect from a hosting provider with so many servers. This hosting provider do not deliver optimum performance for your website. If your website goes down and you can’t seem to troubleshoot the cause from the knowledge base, you need quick access to technical, customer support that can help fix the problem. FatCow’s support team is top notch as they are available 24/7, and will have the expertise to get your website back up and running quickly. Even if you subscribe to their most basic package, you’ll have access to their support team at any time of day, any day of the week. This clearly shows that they value their customer’s time and understand the impact any hosting issues could have on their business. FatCow offers great LiveChat support, where an expert helps you out without keeping you on hold for too long. However, they also offer telephone and email support so you can get in touch through those means as well. You may even contact the FatCow support team through the online support console by filling the required form on their website. It offers a very easy-to-use, Control Panel dashboard with all the necessary features to maintain and manage websites, domain names, and emails. The control panel features a built-in file manager as well to help you upload files if you don’t have FTP access because of your ISP or if you don’t have a client handy. The control panel also provides an ‘HtAccess Editor’; a security tool to handle password protection, hot link protection, and block IP addresses from visiting your website. You can also create websites quickly using the user-friendly, drag-and-drop site creation tools accessible from FatCow’s control panel. Some of the preferred site-builder tools are ‘Website Creator by CM4all’ and ‘Weebly Drag and Drop Builder’. Both these tools are available for free to create basic websites without requiring any coding on your part. However, if you want to create more complex websites or need additional features or functionality, you need to purchase one of their paid plans. The other two site-builder tools, SiteDelux and ShopSite Starter (for e-commerce), contain very limited features and you can easily download better, free alternatives from the internet. You can also use the ‘goMobi Site Builder’ to create mobile-friendly websites. However, it is a paid service starting at $1.98 per month. Additionall, you can have access to the WordPress platform, which is definitely preferred by many webmasters and bloggers today. You can use the 1-Click Setup feature to set up a WordPress website or blog up and running in minutes. 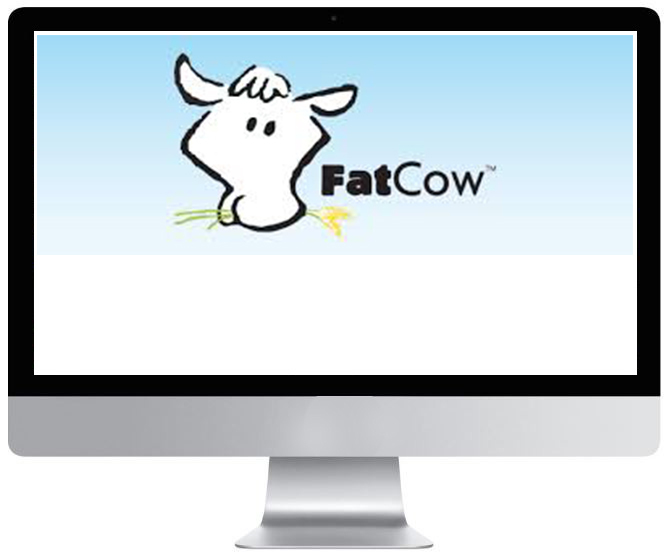 FatCow offers ‘The Original FatCow Plan’ for simple and smart web hosting. Pricing starts at $15 a year (promotional price only for the first term that you select). Renewal rates for the plan start at $10.99 per month (for a 12-month subscription), $9.99 per month (for 24-months) and $8.99 per month (for 36-months). It offers a 30-day money-back guarantee. This plan is available at a starting price of $3.75 per month. It offers pre-installed themes and plugins, and a customised control panel for user convenience. FatCow offers this plan at a starting price of $6.95 per month. This is a very good plan if you are looking for long-term WordPress hosting for your website or blog. In addition to the features of the WP Starter plan, this one offers super speed with SSD-based infrastructure. You also get enhanced security in collaboration with SiteLock experts that deliver a deluxe security bundle to remove malware. It entitles you to personalised support from relevant experts to sort out any site hosting issues as well. This website hosting service is suitable only for personal use or small businesses. There are no fixed plans for large businesses and their services are not scalable. The only time they will refund customers is if it was made by Credit Card. This is really bad. When you sign up to FatCow, you agree not to use “excessive” amounts of CPU processing. Any normal company will stipulate exactly what this means, but unfortunately FatCow does not do this. FatCow offers shared hosting plans with the claim that it provides ‘oodles’ of bandwidth and disk space. However, there is no mention of the exact percentage or figures. They clearly state that “99.95% of all customers will have more than enough storage space and bandwidth to meet their needs”, provided they are individuals or small businesses. There are chances (rare) that FatCow puts constraints on hosting accounts that happen to use resources more than expected for the normal functioning of personal or small business sites. It does not support file storage and file sharing. Do I Recommend FatCow Hosting? Uptime is well off the mark and page speeds are what you expect with free hosting. The hidden fees and lack of refunds for people who pay with a debit card, is a deal breaker. FatCow maybe an OK hosting company for personal websites, blogs, and small businesses, However, I feel Bluehost, InMotion and iPage offer better performance, deal transparency and an overall superior service. You would also need to look elsewhere for hosting if you’re a medium or large business or need higher bandwidth. There’s plenty of better options out there for cheap web hosting. Head over to our best hosting companies page and see our recommended providers list.